The Lake Chad is very dear to our heart as it is a source of livelihood to over 45 million people living in the Basin. This Lake, which is one of the oldest Lakes in Africa, is shared by Cameroon, the Central African Republic, Chad, Niger and Nigeria. 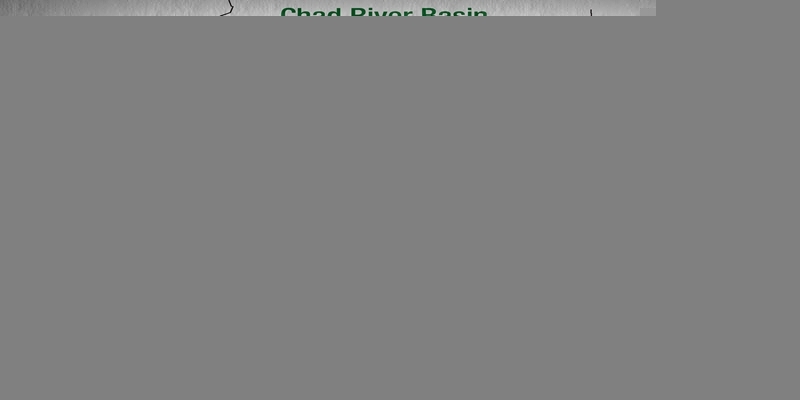 The people living in the Basin depend on the Lake Chad for Agriculture, Fisheries and Livestock for their economic well-being. The Lake Chad region was formerly an “oasis in the desert,” a hub of economic activities and food security. The farmers, fishermen, herdsmen and traders were happy because business was booming. The happiness and contentment contributed to the stability of the sub-region. e. Our youths are joining terrorist groups because of lack of jobs and difficult economic conditions. This has resulted in serious instability in the sub-region. The negative effects of the shrinkage of Lake Chad are indeed enormous. c. the North East Development Commission (NEDC) recently established by law. Unfortunately, the major challenges facing the Lake Chad region still remain unresolved. Our desire as a nation to restore the sub-region to its former glory is very real as evident in my numerous appeals to the international community for support towards the Lake’s revival. One of such appeals was made during my meeting with the Director-General of UNESCO - Ms. Irina Bokova on August 11, 2016. During that meeting, I requested for a partnership with UNESCO in the organization of an International Conference to reactivate and raise awareness for an international campaign to save the Lake Chad. UNESCO graciously accepted my request and a Communiqué was issued. Let Abuja be the starting point of this commitment and we will call this “The Abuja Declaration.” Abuja Declaration will be a benchmark and the bedrock upon which future engagements on restoring the Lake would be built. It will also serve as a fundamental and landmark document which will contain basic principles that can be used as a yardstick for holistic development model for the Basin. Such a model will be useful especially for policy and decision makers, Development partners, Donors Agencies, Investors, Researchers and Institutions. I owe a debt of gratitude to my brothers, the Presidents and Heads of State and Government of LCBC Member Countries – Cameroon, the Central African Republic, Chad and Niger for their invaluable contributions to the development of the Basin. I must also sincerely appreciate the efforts and immense technical support of the United Nations (UN) and its Agencies including FAO, UNDP and UNEP and most especially UNESCO for their invaluable contributions towards the Integrated Water Resources Management of the Basin. The Banks have been our backbone - The African Development Bank, World Bank, Islamic Development Bank, China-Exim Bank. The African Union, the European Union, ECOWAS, ECCAS, have also contributed immensely to the sustainable development of the sub-region. We are also indebted to the governments of Netherlands, Hungary, France, China, Italy, Japan, United States of America, Canada and Britain. As we continue on this journey towards our goal, I wish to use this medium to solicit for your continued collaboration and support. Let me reiterate our firm commitment to restore the Lake Chad to its former glory. Recognizing that our efforts will be more productive with international support, we call on our International Partners – Technical and Financial to remain unwavering in their support. We must treat the issues of the Lake Chad with the urgency they deserve and show the needed political commitment towards reviving the Lake. Together let us share this mission of rescuing the Lake Chad Basin with a renewed vigor, determination and international collaboration as our inaction or delay will continue to accelerate the deteriorating standard of living of millions of our people with dire consequences on our continent and the World at large. The time to act is now. The time to bail out the region is now. The time to show our humanity is now. I thank you for what you have done in the past. I thank you in anticipation of what together you and us can do now and in the future. President of the Federal Republic of Nigeria.